Calling all thrill seekers. 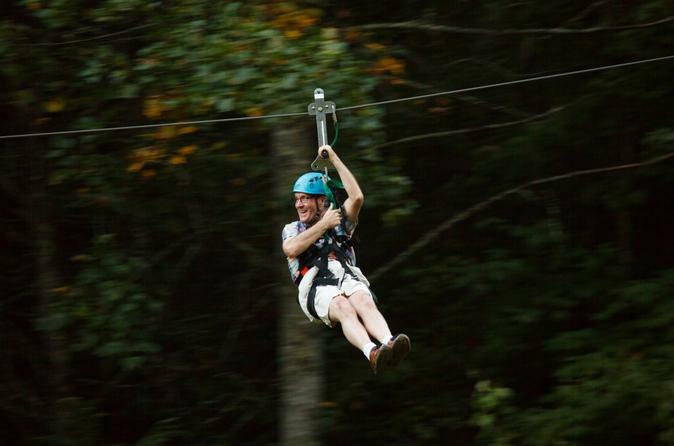 If the classic zipline course at Foxfire Mountain Adventure Park isn’t enough for you, book the Goliath Zip Line, instead, to fly through the air at heights up to 475 feet (145 meters)—the highest in the Smoky Mountains. Zoom down five extreme lines, and enjoy views of the mountain environment. The Discover Foxfire activity pass is also included so you can explore more of the park on your own.